Want to play paintball for free? Do you like to promote paintball to your friends? Apply today to become a Red Dot Paintball Ambassador. Your duties are simple. Find new people to play at our field. We will support your efforts by giving you five free passes (weekly) to give to your fellow high school students. 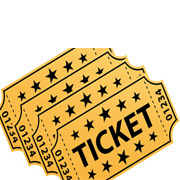 The free passes will allow them to try paintball including admission and a free rental marker. They only need to pay for all day air $10.00 and paintballs $12.00 per 500. For $22.00 they can try paintball with a $40.00 savings. What is in it for me? Again, this program is very simple. Your passes will be numbered. When someone shows up at the field and one of your passes has been used, you will receive 10 points. 10 points = $10.00. You can use your points to redeem for admission and air. You will only need to pay for paintballs to play at our field. The more passes that are redeemed, the more paintball you can play. You will also earn points for referrals. For example, every time someone comes to play and the person tells us your name referred you, you will receive 1 point. Prizes: Yes there are prizes. We want at least two ambassadors for every high school, preferrably not in the same grade. All ambassadors will be entered in to a monthly point total contest. The top 2 ambassadors will receive 1000 paintballs and 50 points. The top monthly ambassadors will receive an entry for the final yearly prize draw. The final prize draw will be only for the 12 monthly winners. Win more than one month and receive more than one entry. The winner of the draw will receive a $250.00 gift card that can be used at Red Dot Paintball's store or the field. 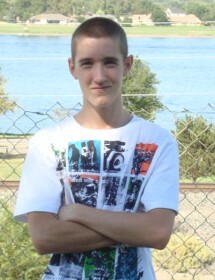 The overall winner (most points for the year, will aslo win a $250.00 gift card. It is possible that the overall winner could be picked from the random 12 entries and earning $500.00 in gift cards. T-shirts - All ambassadors will receive a free Red Dot Paintball T-shirt. Paintballs = sorry cash only for these however, ambassadors will receive an automatic 10% discount for paintballs purchased for personal use. Gift cards can be redeemed for paintballs. Example, give out 5 free passes and all five people come to the field to play paintball. You will receive 50 points. This will get you two free days of paintball. If you do not see any ambassadors for your school below, call 509-967-3030 and tell us you want to be an ambassador. If you do not see your school below, call us and ask if we can expand to your school. We are seeking ambassadors for high schools in the Tri-Cities and surrounding communities outside of the Tri-Cities but within 60 miles from our field. "I have been playing since I was in 6th grade. After my first time playing I was hooked. I immediately starting saving my money so I could get the latest and best/better gear. My next goal now is to someday become a professional paintballer. My favorite part about playing speedball is how everything is fast paced and is filled with adrenaline." "Iv'e been playing woodsball off an on for a couple years now, but now, since the field opened, I've gotten addicted to speedball. I want to improve at paintball as much as possible and get more people out playing and intrested in the tournament aspect of the sport." Lane graduates in 2014. 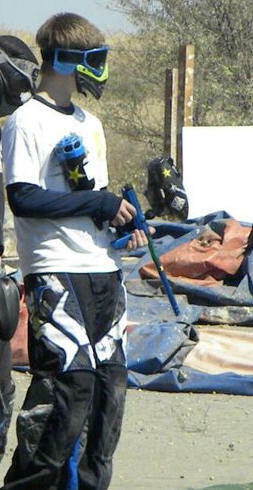 He has been playing since 2008 and has a goal to promote paintball in Washington State. New Player and What to Bring Guide.